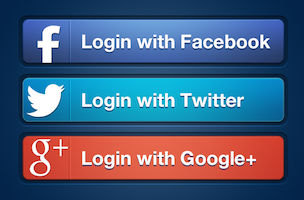 Have you ever logged into a website or app using your Facebook login? What about with your Google, Twitter or Yahoo account? If so, you’re far from alone. 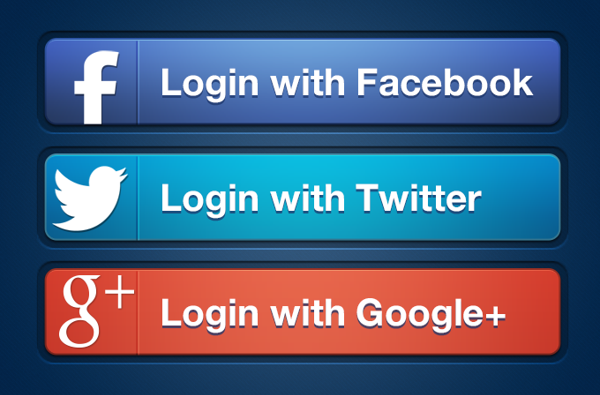 A new study has found that 77 percent of us have used a social media login to sign into a site or app, up from 45 percent in 2012. Gigya surveyed 2,000 U.S. internet users aged 18-55 and found that the primary reason for 53 percent of respondents to use a social login was simply because they didn’t want to spend time filling in registration forms. 47 percent didn’t want to have to create and remember another username and password, and one in five (21 percent) feel that their personal data is better protected when using a social login. Q3 2014 data from LoginRadius found that Facebook continues to dominate the social login space, used by 56 percent of users, compared to 24 percent for Google+ and 12 percent for Twitter.